Anne Hegerty wowed in a floor-length dress. Source: Getty. 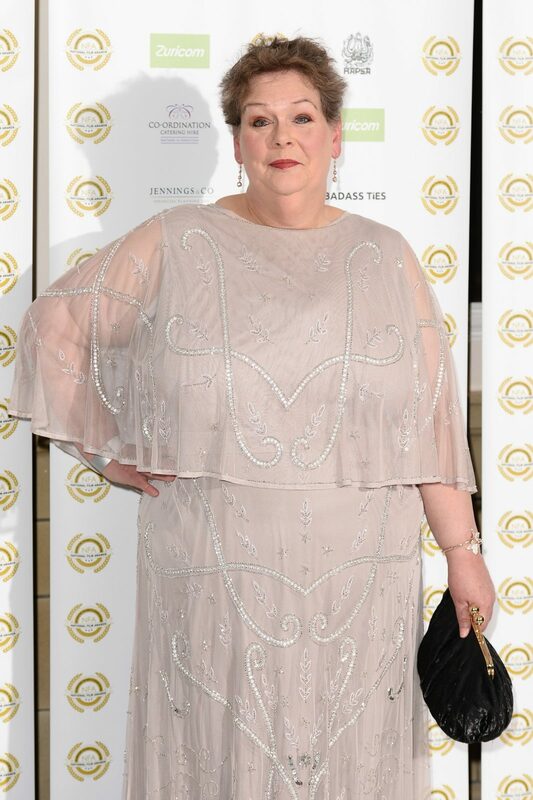 She is known for wowing fans with rare red carpet appearances every few months amid her worldwide success on The Chase, and now Anne ‘The Governess’ Hegerty has upped the style stakes once again in a very dazzling outfit. The 60-year-old TV star looked incredible as she joined famous faces at The National Film Awards in London on Wednesday night. Dropping her usually stern on-screen persona, Anne opted for a floor-length silver chiffon gown with beaded detailing and complete with sheer sleeves, ensuring she kept all eyes on her as she posed for photos outside. She complimented the beautiful look with silver pointed heels, a small clutch bag and some statement silver earrings, while she chose a subtle eyeshadow and red lipstick to complete her amazing transformation. 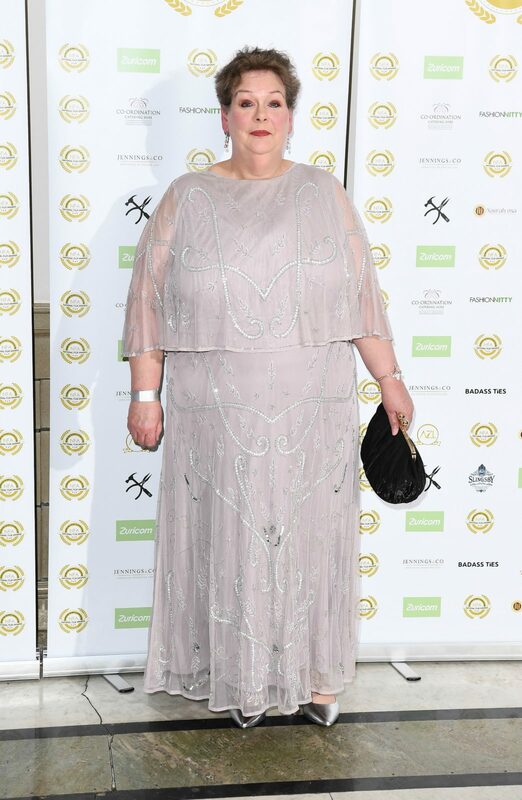 Anne Hegerty was dazzling in the floor-length beaded dress. Source: Getty. Anne is better known for her smart grey suits and bare-faced appearances on the popular TV show. While she began her success on the UK version of the show, she has since moved over to also star on the Aussie version alongside colleague Mark ‘The Beast’ Labbett. She recently starred on I’m A Celebrity, Get Me Out Of Here! in the UK and has been open about her weight loss on the show — having been restricted to a diet largely based around rice and beans. Anne showed off a series of poses in front of the cameras. Source: Getty. Meanwhile, it comes after the TV star opened up to Starts at 60 on her struggle to finally embrace her now well-known confidence, after constantly being told by people throughout her life that she wasn’t good enough for her “wonderful and fabulous” mother. And asked why she felt like the family loser, Anne explained: “Honestly you have no idea, until this came along … Compared to everyone except my dad, I did, he was seen as the uber loser. I spent most of my life being compared to my mum with everyone saying, ‘You mum is so wonderful and fabulous and amazing and stupendous and you’re not good enough for her’. Are you a fan of The Chase? Do you like Anne’s latest outfit?